Permaculture Garden is not hard or even expensive, using the right tools. First of all, you need water! How you water makes a huge difference in your Permaculture Garden, indeed you can use up to 90% less water in your garden with Ollas, an ancient underground irrigation system. With Ollas you curb evaporation plus it puts water at the roots of your plants, which is where it’s needed, and plants take exactly how much water they need. You need to use the best water you can. And the best one is the rainwater you can collect in a barrel from your roof, one of my favorite rainwater harvesting system, especially in urban environments. If you have not enough rainwater available, you can use the one you have. Be sure to use a filter to take out dangerous chemicals, or you can use a water purifying system. It’s very important there is enough amount of dissolved oxygen in your water. You can use are specific devices to increase the amount of oxygen in your water or, you can dynamize your water according the Biodynamic Agriculture methodologies. In your Permaculture Garden, you also need to manage grasses. There’s a lot of discussion about this topic; grasses can help your garden as they can compete for nutrients with your growing plants. There are many strategies you can use to maintain grasses at a reasonable level. Timing is everything: smaller are your grasses, more effective is your work in maintaining them. You can mulch your garden using layers of cardboard under your garden beds. You also need to feed your soil with the right fertilizer. At Green Desert, they use fertilizers from their chickens, as from their aquaponic system, as we do in Italy at the Urban Permaculture Laboratory. They also use Worm Juice. I found Compost Tea is one of the most effective system, and it’s very easy to make. The utube video below from Green Desert TV shows another couple of very important strategies you need to implement. 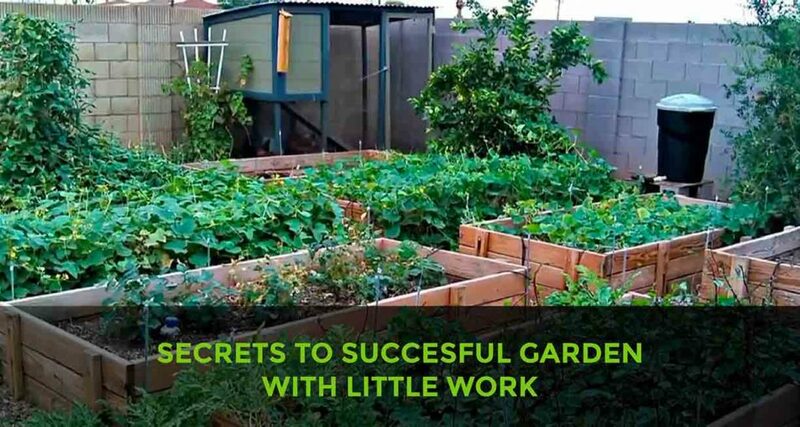 Be sure to share this post to inspire your friends and family to create a successful Permaculture Garden with little work.